...and it was so sharp (non-4k) that all the 1024x mods were no longer playable. So here I am now permanently in the wide-screen environment. My personal tastes were always to use some Hitman type of optics as they represented the proper 1.5x and 6x zoom settings on periscopes so very well. I also use that method of effort. Read the mils on the scope. No AOB wheel or anything. Ahnenerbe wide screen mod is (like Manos efforts) pure artwork and amazing for all that. However I was never able to get the zoom/perspective settings right. Example: something that is 25 meters tall, showing 50mils, with the 6x power setting should be about 2000 meters away. I was unsuccessful making this work with the stock Ahnenerbe mod. Again, I don't use an AOB wheel I just read the mils. So I made a few minor changes to suit my tastes with changes to the camera dat file and replacing the 900x900 pixel mask used for the periscope reticules. I went to Manos wide screen mod which would not boot up in my NYGM mod (odd as this always works in GWX). ...and borrowed an optional scope mask from the Manos mod as a quick kludge fix as seen below. I also had to resize it to make it fit inside Ahnerebe's 900x900 pixel setup (for both scopes). This got me back on patrol and am enjoying Ahnenerbe's mod greatly in NYGM. When I have time I will have to do it the proper way and make up some reticules for a 900x900 pixel mask that are more accurate and appealing than my crude fix. 1. No zoom choices in binoculars and UZO. 1. Remove the AOB wheels as I don't use them. Again, these are ONLY my personal tastes to what is in stock form, a stellar mod. It would be impossible to thank people like Manos, Hitman and Ahnenerbe enough. Their efforts have given me hours of enjoyment. Side note on Ahnenerbe's wide screen mod, even at 100 percent realism, if you or a friend just want to do a beer and pretzel game, you can still ask the attack officer for all the fire control solutions. Which makes it nice for anyone that wants to do that. Last edited by Leoz; 04-07-2019 at 12:50 AM. very interesting work Leoz! ... I have a question .. sended you to pm if you can help me. 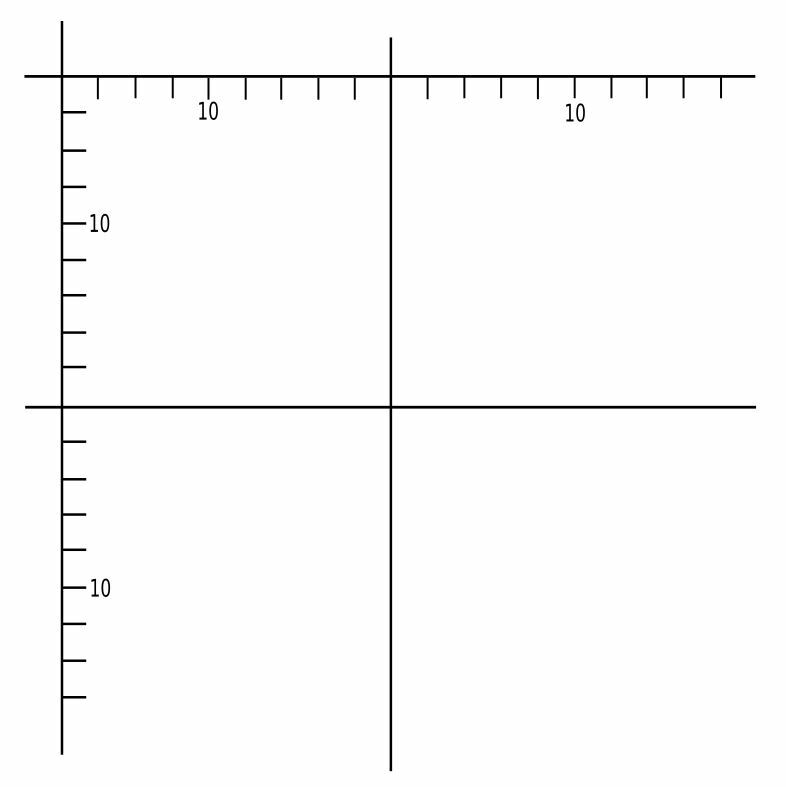 Using the program "Inkscape", I will create a 900x900 pixel image and put the grid on that shows pixel position. I will create the reticule's in that, convert to bitmap (TGA) (rework a bit in GIMP) and test some of them. I will then post some of them for people to use as they see fit. 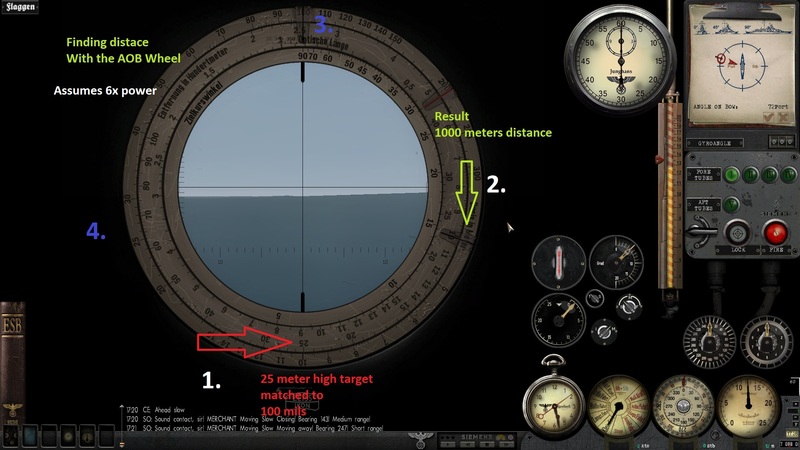 Attack scope, older vertical mils in 20mil increments like what you see in the attack scope of Das Boot (movie assumption of U-96) and the actual, official propaganda video of the U-48 (a VIIb). 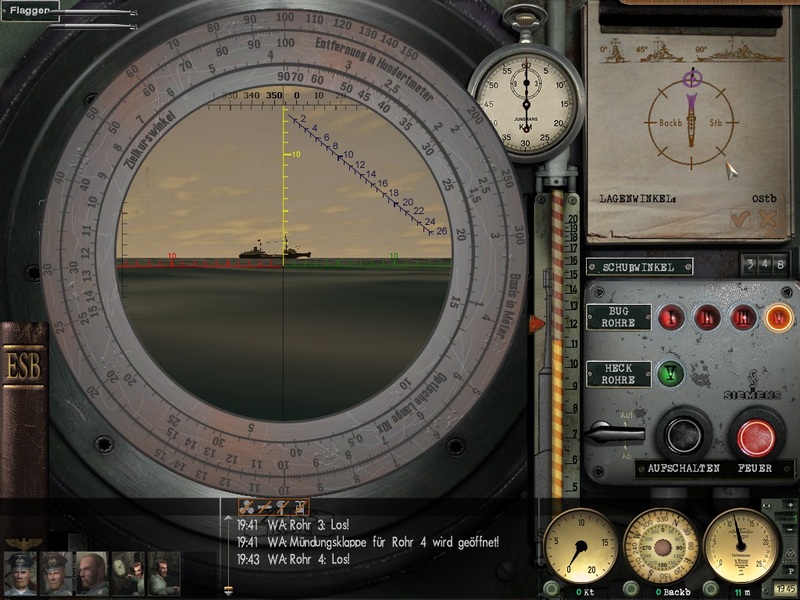 The Observation scope will be like a C9 (no whizwheels, stadimeters nothing) as seen in that propaganda film (hey one of the older B model VII boats upgraded to '41 'ish optics by late '41) as well as seen in a variety of Kaleun's using their C9 scope (Topp) and others. Early war boats? 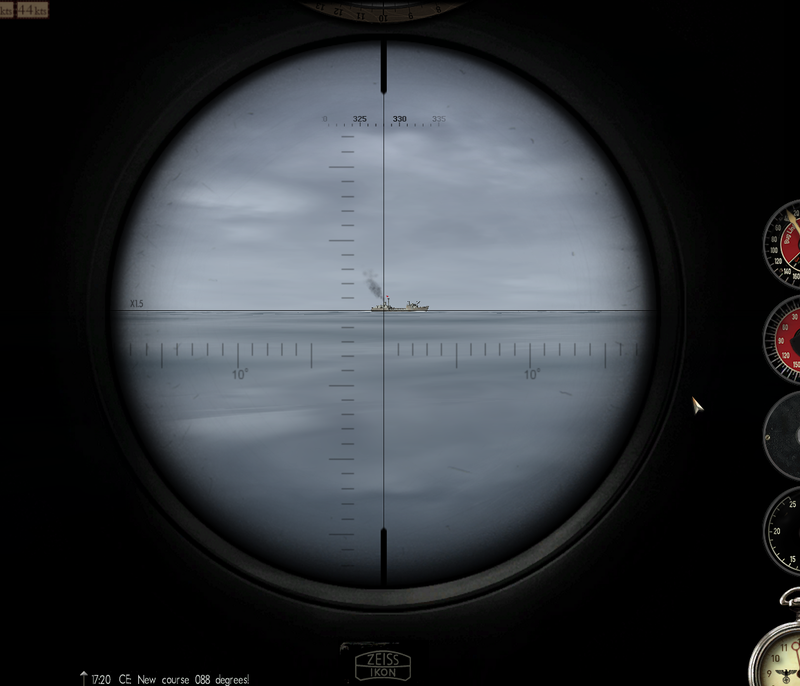 Maybe something similar to Option 1 for the attack scope and the Observation scope is like the very old Ujag mod. Which assumed a multi-eye piece early war scope. Example: Remember SHIII can't really simulate a multi-optic scope well but UJag gave the flavour of it. One eyepiece for stadimeter, One eyepiece for coloured graphic, one eye piece for normal view. My assumptions (opinions) no attack scope will have AOB wheels as I have not been able to find any photos that showed them that way. However, I am only going to create the reticules so what anyone does with them is fine if they want to create an AOB wheel to match. All, 1.5x and 6x zoom. 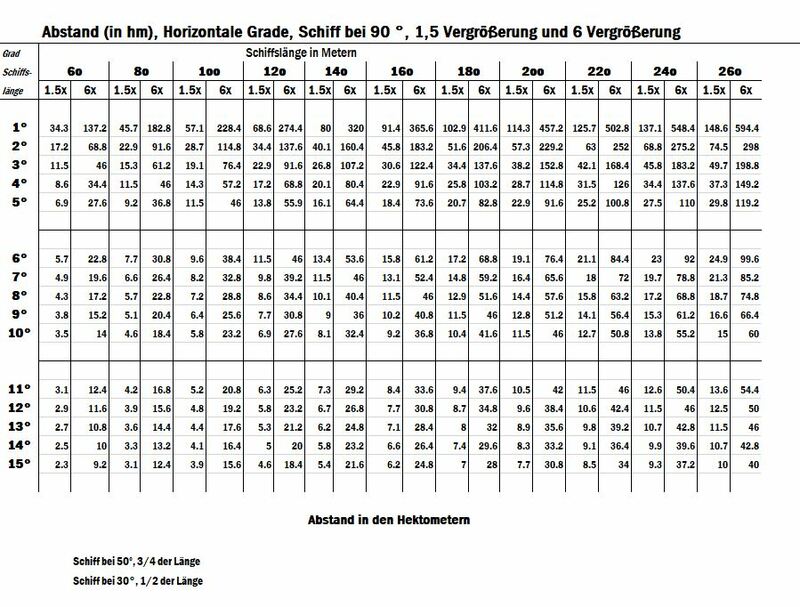 Again, my personal goals are to make mils match as the example given in the previous post: a 25 meter tall object at 50mils and 6x should be 2000 meters away. Last but not least of course, it is only a game and to have fun. Last edited by Leoz; 04-08-2019 at 07:17 AM. how did you copy the hitman reticules on your periscope? Last edited by hauangua; 04-08-2019 at 01:23 PM. I have not copied those into Ahnenerbe at all. Those screenshots are from Hitman and the old UJag mod respectively and only used to illustrate what I want to do with my Ahnenerbe setup. Here is the first draft for the 3 eyepiece observation scope on old boats. The overall image composition is inspired by UJag's Old periscope mod from many many years ago. This graphic is done in Inkscape ( much like Corel Draw or Illustrator-- a vector-based graphics program). As mentioned.... SHIII doesn't really simulate 3-eyepiece periscopes well. So, we compromise, like what is shown in the old UJag Mod or the wonderful efforts of OLC / ACM authors. 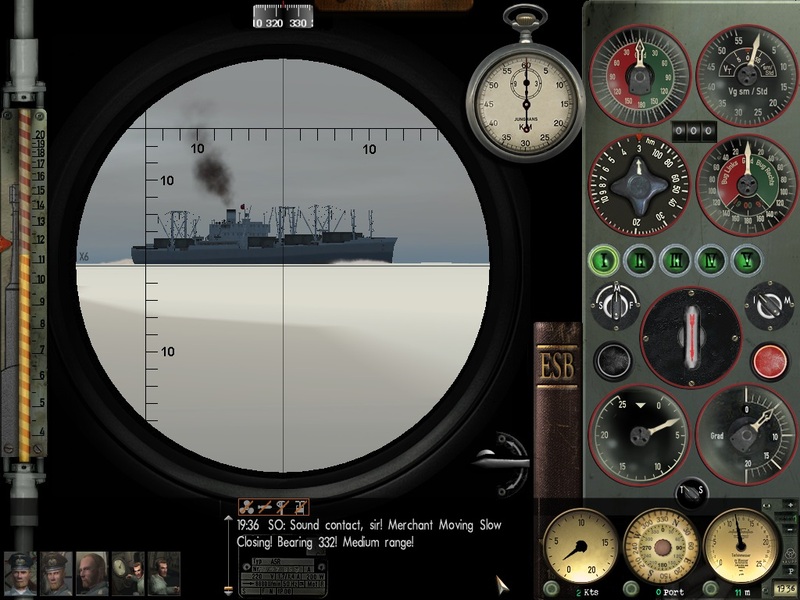 In the old scope you had a crosshair on one lens for general observation. Another eyepiece was to get a graphic representation of scale and aspect of the target (which is this coloured graphic)... then another eyepiece for the stadimeter (which also is hard to represent in SHIII). In the game, this colour graphic would appear when you activate the AOB wheel or whatever the gray circular slide rule is called. (The greats: UJag, OLC,AMC and Manos were able to show this well). THESE are great teaching tools to learn about the ratio of height and width of a ship as it pertains to distance and angle on the bow. The knowledge I gained from all these mods over the years was what made me really good with the Hitman mods later which had none of this; which, represented newer scopes after the war started. 1. The super high resolution of Ahnenerbe Wide Screen made the lower resolution graphics in the old mods obsolete. Modders will have tools available to use as they see fit. When I am done with all the scope reticules I will zip them up into a package and upload them. As time permits maybe I can create a few different packages that work in JMGME. But, I am at the lower end skill of that. We are talking training wheels. Additional to above, when ever I do the final for the above coloured graphic, I will probably mate it to the inside of a graphic in this mod called the AOB inner disk. That way when you click on the AOB disk, the coloured graphic will appear. Again though, observation scope only. Which brings up another problem with the Ahnenerbe WideGui. Need a modified AOB graphic for 6x power. Example: on that slide rule disk, with 6x, a target 25 meters tall at 50mils does not read out at being 2000 meters away. Spent a lot of time reading 11 year old forum threads by Hitman, Makman and others on periscope optics, milirad assumptions, etc. very illuminating. And a big help. Here is the draft for the older, early style Attack scope as I assume it. Will work on the observation scope next. Had a bit of a break through. The AOB wheel was driving me nuts in this mod but was really my fault. It is after-all, just a relational slide rule. 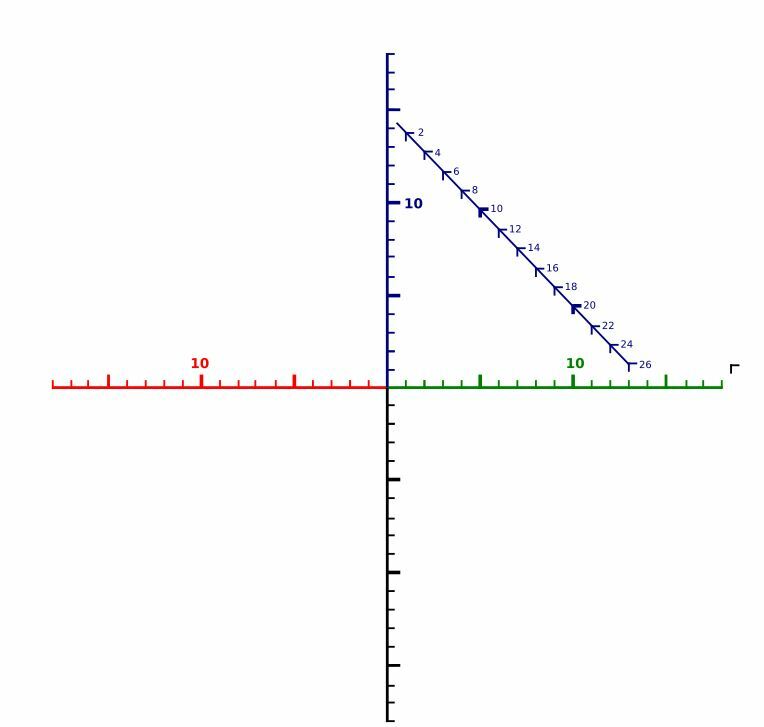 #1 matching a 25 meter target to 10 (where this is really for the purpose of this slide rule exercise the 100 mils mark. Then go to #2 and read the distance.... where 10 for this purpose = 1000 meters away. 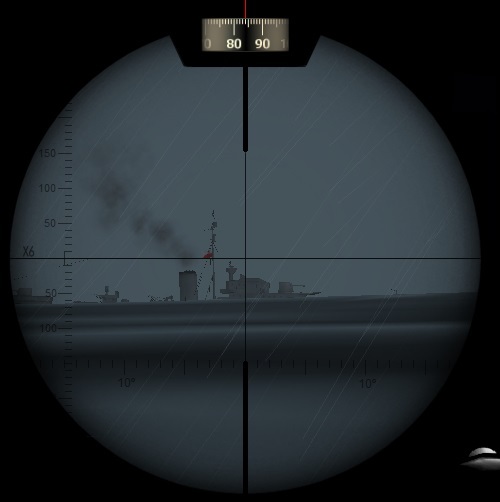 Checked out against various numbers with Hitman's chart supplied with his first periscope mod. In the old UJag Mod and Manos Mod.... one would start out at number #3 and get the result at #4. Still some work with this as it is like any slide rule, search for the right relationship of numbers to substitute. So, once we get the mills right for the scopes (for 6x) we should be on easy street. Is there a manual explaining where the tools are and how they are used? Silent Hunter standard is clear.